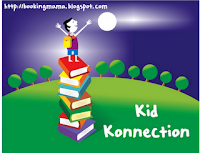 Martial arts, a time portal, and 7-year-old boy humor. 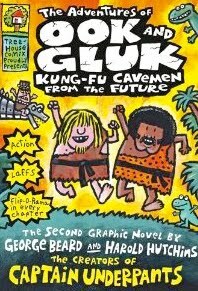 Ook and Gluk, the comic creations of George Beard and Harold Hutchins (who are the comic creations of author Dav Pilkey), are caveboys who travel by force to the year 2222 and then try to save their hometown of Caveland, Ohio, from evil. Tintin read this 176-page book twice this week. Although this book will teach your child important things like philosophy, rhyming, and caveman language, you might want to be aware of the book's warning: "The FoLowing seckshon contains graphic violins and may not be suitible For sensative grownups and other people who arent very fun." 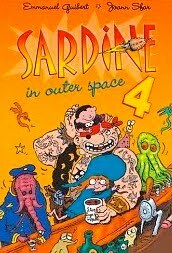 Space pirates Sardine, Little Louie, and Captain Yellow Shoulder are back once again to save the universe from Supermuscleman and mad scientist Doc Krok. Along the way they encounter the monster under their bed, an evil bunny, flying tattoos, rocket attacks, and more. Sardine is Tintin's favorite graphic novel series, and this fourth installment did not disappoint. Tintin finished it in one sitting and can't wait to read number 5. 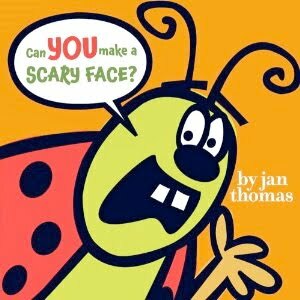 The ladybug in this book will have your child moving around and acting silly. Although some Amazon reviewers seem to think this book is better for a group of children, Johnny Boo loved following the ladybug's directions. He especially loved reading the book to me and watching me make scary faces and dance like a chicken. Tintin chose this book for Johnny Boo from his school library (the boys have a deal: Tintin picks out one book for himself and one for Johnny Boo, and when Johnny Boo starts elementary school, he'll do the same) – I think Tintin's choice was a good one. You have to like a children's book that uses the word "lollygag." Potty Animals teaches children the rules of the potty in a fun way. Johnny Boo has been without a diaper for 2 1/2 years, but he (and his brother) still need the occasional reminder to remember their bathroom manners. Plus, being a 4-year-old, he loves learning about rules. 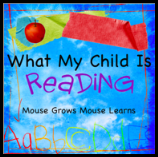 And he loves books about animals. And I think I'll make a copy of the rules and hang it on every bathroom door in this house. Thanks for joining WMCIR! You are pretty brave to let TinTin read whatever he wants to read - I just can't quite see myself warming up to graphical novels. We also enjoyed that Jan Thomas book. Thanks for sharing! 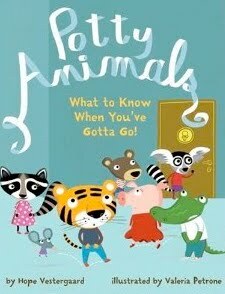 My son loved POTTY ANIMALS too. I think there might be a poster you can print out on the publisher/book website. Isn't the Dav Pilkey stuff extraordinary? Kids will just read it over and over and over again, cracking up the whole way through. And it's not like it's that complicated - good grief! You'd think other authors might imitate him more. I'm not saying Captain Underpants and Ook and Gluk are the greatest books in the world, but I just have to respect books that give kids THAT much pleasure. 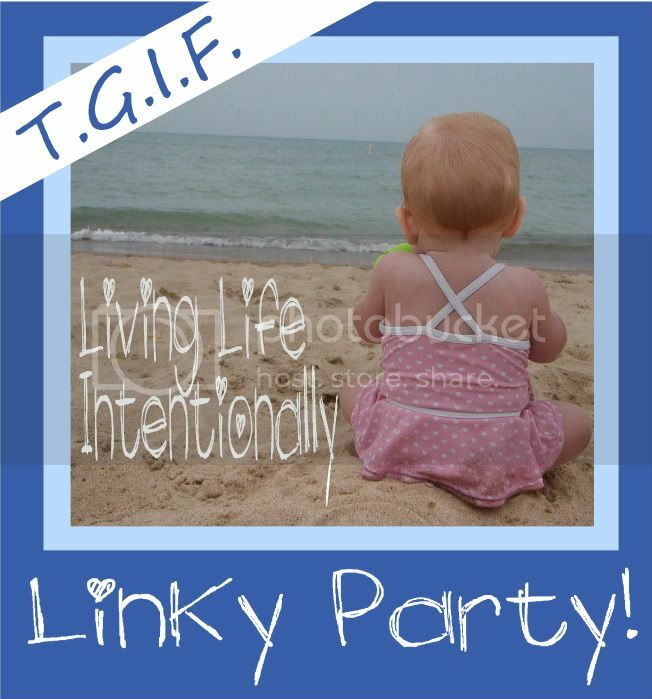 Thanks for following Pink Me!